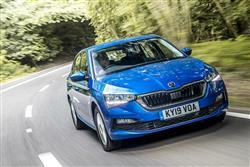 The Scala is Skoda's most credible tilt yet at the Focus-class family hatchback segment. 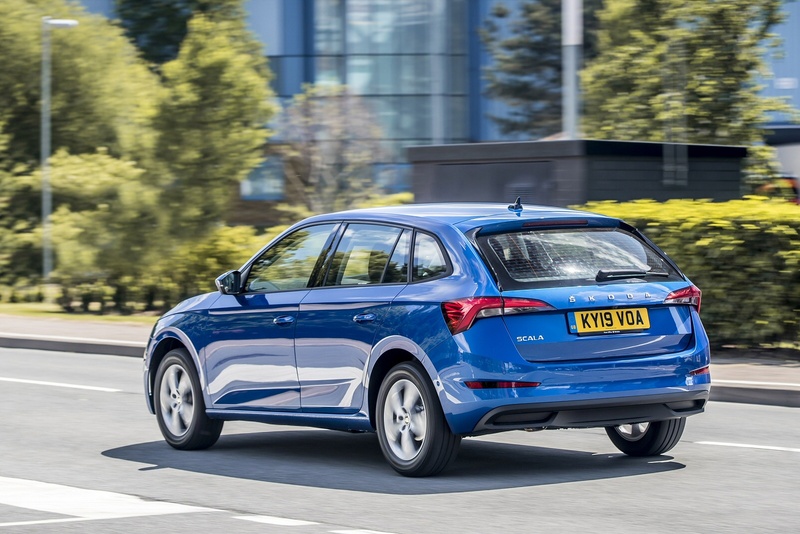 Though the engineering's familiar from other VW Group models, the way the Czech brand has packaged it all up is quite appealing, with a decent combination of value, practicality and efficiency. If you prioritise sense and sensibility, want value in a car of this kind and are looking for something a little different from the obvious contenders in this class, the Scala could be worth a look. Skoda has yet to really crack the family hatchback market, which in some ways is strange given the considerable success that various generations of its Fabia supermini have enjoyed. Last time the Czech brand attacked this segment, it was so desperate to succeed that it brought us not one family hatch design but two, the very Skoda-like Rapid and the more conventional Rapid Spaceback. Now, all efforts have been concentrated on just one design, just one body shape and just one name: Scala. The name comes from the Latin meaning 'stairs' or 'ladder', reflecting the fact that this model will be 'a leap forward in design and technology' according at least to Skoda. 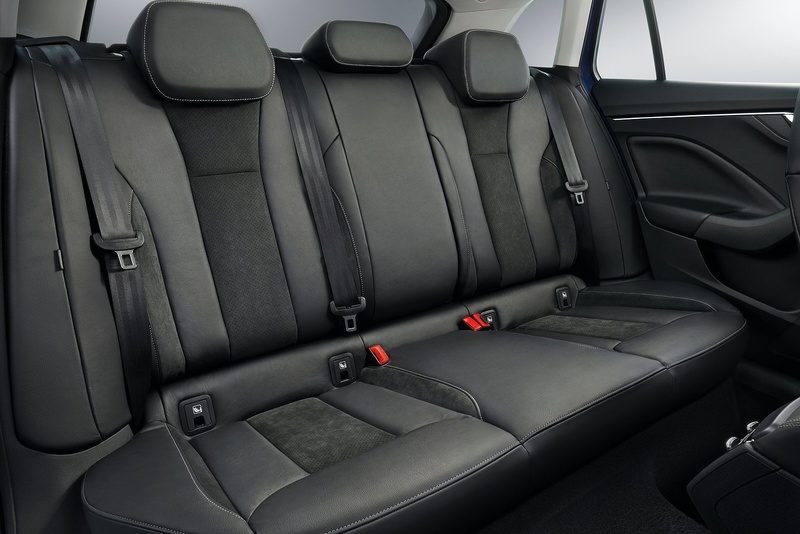 Of course, from an engineering point of view, it shares just about everything with Volkswagen Group contemporaries, in this case primarily VW's Golf and SEAT's Leon. 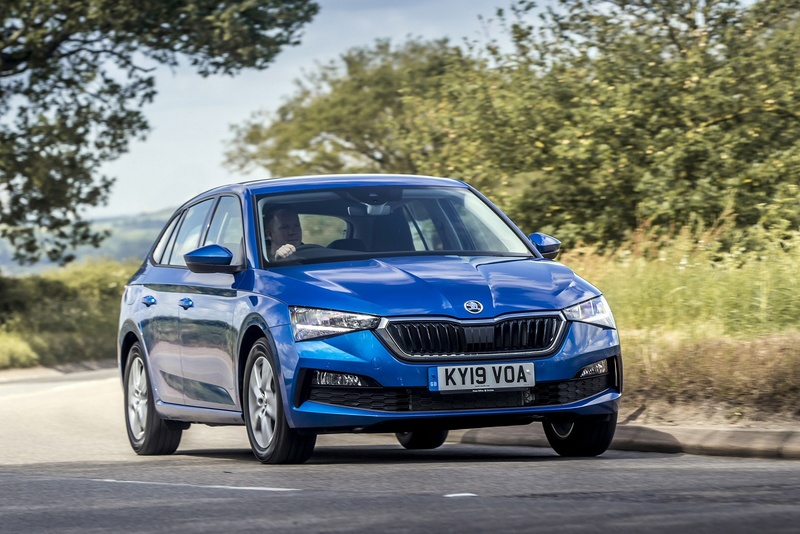 But as usual, Skoda offers it all at slightly lower prices and with a range of 'Simply Clever' design features intended to make everyday life with this car just that little bit easier. Let's get the under-bonnet stuff out of the way first. The Scala comes with three petrol engines with a cylinder capacity of either 1.0 or 1.5 litres, plus there's a 1.6-litre diesel. 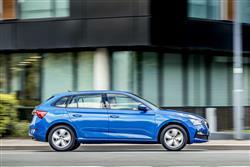 Most will choose the 1.0-litre TSI petrol unit, available with either 95PS or 115PS. The former unit comes only with a 5-speed manual stick shift, but if you choose the 115PS variant, you'll be offered the choice of either 6-speed manual transmission or a 7-speed DSG auto. 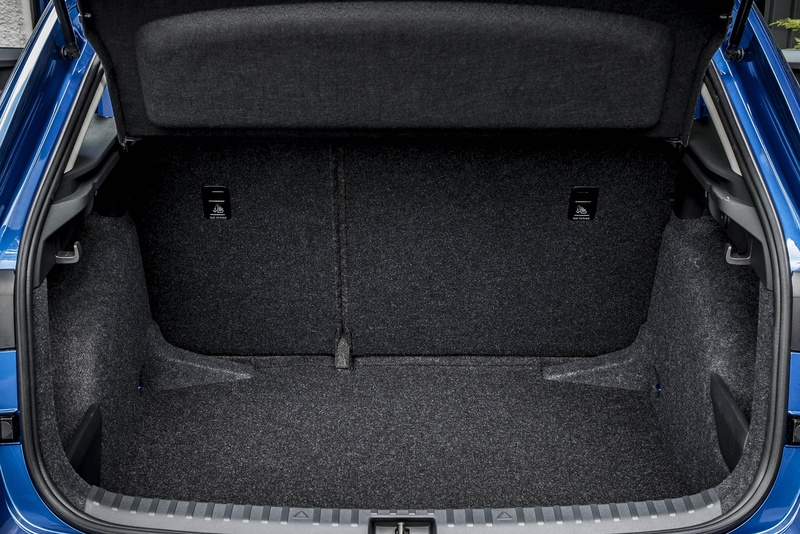 The DSG 'box is also optional on the other two engines in the range. The 1.5 TSI 150PS petrol unit's worth a look, equipped as it is with efficient Active Cylinder Technology that means it's almost as efficient as the 1.0-litre option. As usual, you'll choose the 115PS 1.6-litre TDI diesel if you want more pulling power; there's 250Nm of torque - though the 1.5 TSI petrol can match that. 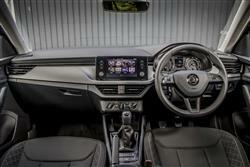 As usual with a compact Skoda, expect solid, safe handling; you won't be buying this car for driving thrills. Skoda suspension set-ups tend to be slightly on the firm side too. Optional is an Adaptive Cruise Control system that can automatically keep the car a safe distance behind the vehicle in front on the motorway, being even able to slow you right down to a stop and start you off again if you come across a tailback. The Scala is a crisp piece of design work with its clearly defined surfaces, flowing lines and sleek aerodynamics. The front is actually quite striking with an upright radiator grille, a large air inlet underneath and side Air Curtains. The side profile 'tornado line' makes the vehicle look longer and works well with the sweeping roof line. There are LED head and tail lights, wheels of between 16 to 18-inches in size and as an alternative to the standard tailgate, the car can be ordered with an extended rear window. Under the skin, the car sits on the VW Group's latest stiff, sophisticated MQB-A0 platform. 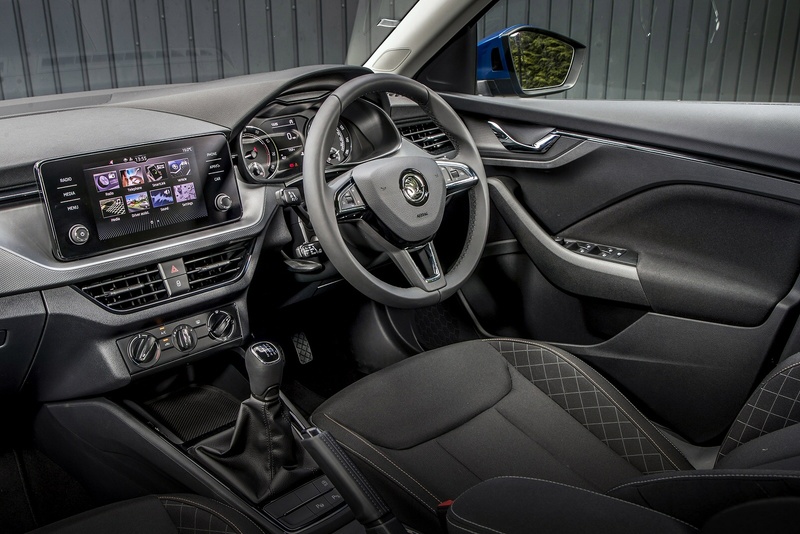 Inside up-front, the Scala gets the brand's latest generation infotainment system with a free-standing screen positioned high on the dashboard in clear view of the driver. Plus there's the option of a 10.25-inch 'Virtual Cockpit' digital instrument binnacle display. Classy touches include ambient lighting with a white or red light, plus the warm hues and contrasting coloured stitching on the seat covers provide a pleasant feeling of spaciousness. 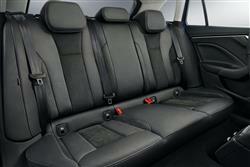 The long 2,649mm wheelbase allows for more rear seat leg room than you might expect to find in a car of this class. Out back, there's a large 467-litre boot, the largest in the class. 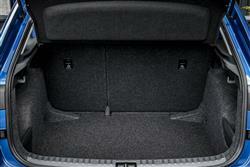 This increases to 1,410-litres with the rear bench folded. 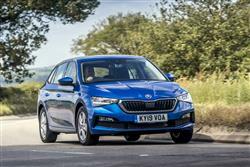 Prices start at just under £17,000 and the range consists of three familiar Skoda trim grades; 'S', 'SE' and 'SEL', with all three offering decent levels of standard specification. Despite its status as the entry-level model, the 'S' is fitted with 16-inch alloy wheels, LED headlamps, leather for the steering wheel, gear and handbrake lever and a height adjustable driver's seat. Customers opting for the 'S' model also get air-conditioning, a DAB digital radio, front and rear electric windows and a 'Swing' infotainment system with a 6.5-inch screen. In terms of safety equipment, the 'S' model features front head and side airbags, Front assist, Lane assist, a Speed limiter and Emergency call with proactive services. 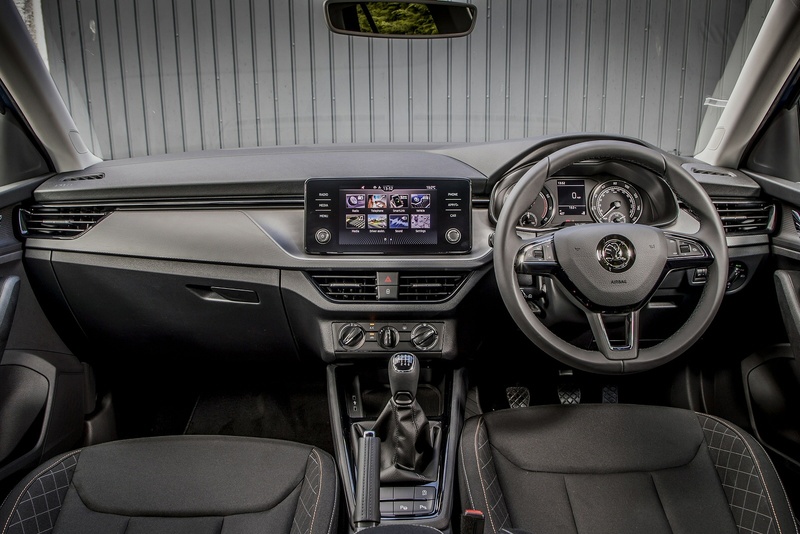 The mid-range 'SE' model adds a host of additional features including cruise control, rear parking sensors, a 'Bolero' infotainment system with an 8-inch touchscreen, an integrated umbrella and a height adjustable passenger seat. If you're happy to spend just over £20,000 on your Scala, then your dealer will direct you to the plushest 'SEL' model, which includes the brand's top 'Amundsen' infotainment system with a 9.2-inch glass touchscreen, plus there's a hi-tech digital cockpit, climate control air conditioning, keyless entry with start/stop and a colour multifunction trip computer. The exterior design features 17-inch alloy wheels, full LED rear lights, dynamic indicators and privacy glass on the rear windows. As you'd expect, all the Scala engines meet the latest Euro 6D emissions standard and all the petrol units are equipped with a particulate filter. All engines come with brake energy recovery and Stop/Start technology. The 1.5 TSI is also equipped with Active Cylinder Technology (ACT) that cuts the engine from four to two cylinders under light-to-medium throttle loads. Skoda won't be bringing to the UK the 1.0 G-TEC unit that's designed to run on CNG environmentally friendly natural gas. In terms of fuel economy, expect the volume 115PS 1.0 TSI petrol unit to return around 55mpg on the combined cycle and around 110g/km of CO2. For the 1.5 TSI, the figures are likely to be around 50mpg and around 120g/km, while for the 1.6 TDI diesel, you're looking at around 65mpg and around 110g/km. Finally, while it's certainly true that other rivals better the three year 60,000 mile warranty that Skoda provides, you can extend your cover to four or five years by paying extra. Not that you really need to. The brand regularly tops independent consumer satisfaction surveys: according to real people, there are few more satisfying cars to own. If you�re looking for a new SKODA Scala 1.6 TDI SE 5dr DSG Diesel Hatchback for sale, you�ve come to the right place. At Bristol Street Motors we don�t just have the best SKODA Scala 1.6 TDI SE 5dr DSG Diesel Hatchback deals, we also offer friendly advice and help with all your enquiries to ensure your buying experience is a happy experience.